42nd Street to 38th Street, Meridian to Central /// Dawn Zapinski Please let me know if I can provided any information or assistance related to a Zone 1 issue. Thanks! 42nd Street to 38th Street, Central to the Monon Trail /// Jenn Baron Cassie Gilford Please let me know if I can provided any information or assistance related to a Zone 2 issue. Thanks! 46th Street to 42nd Street, Meridian to Central /// Sheryl Facktor-Mervis Please let me know if I can provided any information or assistance related to a Zone 3 issue. Thanks! 46th Street to 42nd Street, Central to the Monon Trail /// Chad Thompson Corrina Thompson Please let me know if I can provided any information or assistance related to a Zone 4 issue. Thanks! 54th Street to 46th Street, Meridian to Central /// Glenn Harkness Please let me know if I can provided any information or assistance related to a Zone 5 issue. Thanks! 54th Street to 46th Street, Central to the Monon Trail /// Chris Warren Please let me know if I can provided any information or assistance related to a Zone 6 issue. Thanks!  Kessler Boulevard to 54th Street, Meridian to Central /// Todd Dixon Please let me know if I can provided any information or assistance related to a Zone 7 issue. Thanks! Kessler Boulevard to 54th Street, Central to the Monon Trail /// Nancy Waite Please let me know if I can provided any information or assistance related to a Zone 8 issue. Thanks!